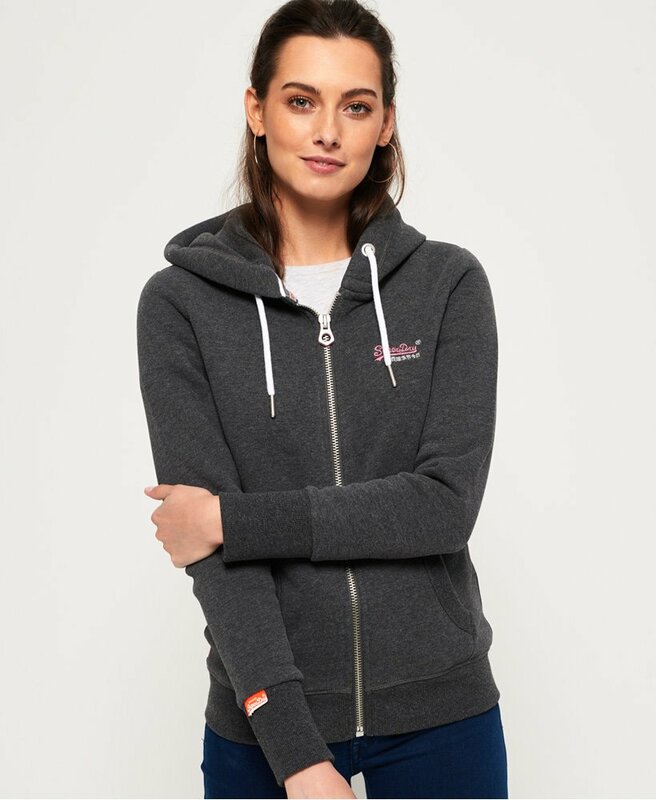 Superdry women's zip hoodie from the Orange Label range. A zip up hoodie featuring an embroidered Superdry logo on the chest, drawstring hood and two front pockets. The hoodie is finished with a Superdry logo tab on the cuff and the signature orange stitching on the side seam.